From farmland to final resting place, Roseland Park Cemetery in many ways is intricately entwined with the history of Berkley. The land on which the cemetery now sits was originally farmed by Native American tribes for corn and squash. In the mid-1800s, John Benjamin and his son John Jr. purchased the land and erected a two-story structure in which they produced the Benjamin Muley Grain Cradle. This device, combining the sickle with a cradle to separate wheat from the chaff, enabled farmers to quadruple their yield. 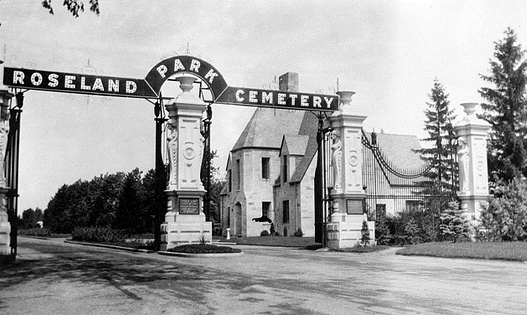 In 1906, a group of forward-thinking businessmen who anticipated population expansion northward from Detroit founded Roseland Park Cemetery. A stock purchase converted the north section of the Cromie Dairy Farm on Twelve Mile Road from cattle pasture to graveyard. 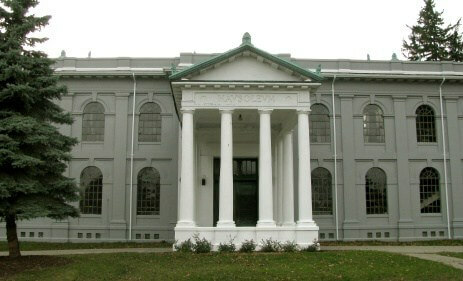 Although John Tuttle was the first person buried here in 1908, Roseland Park was officially dedicated in June of 1910. More than 1,000 people attended, including the mayors of Detroit and Pontiac. Poet Edgar Guest read a poem he had written for the ceremony. The Rose Chapel was designed by world-renowned Detroit architect, Louis Kamper and was officially dedicated in 1914. 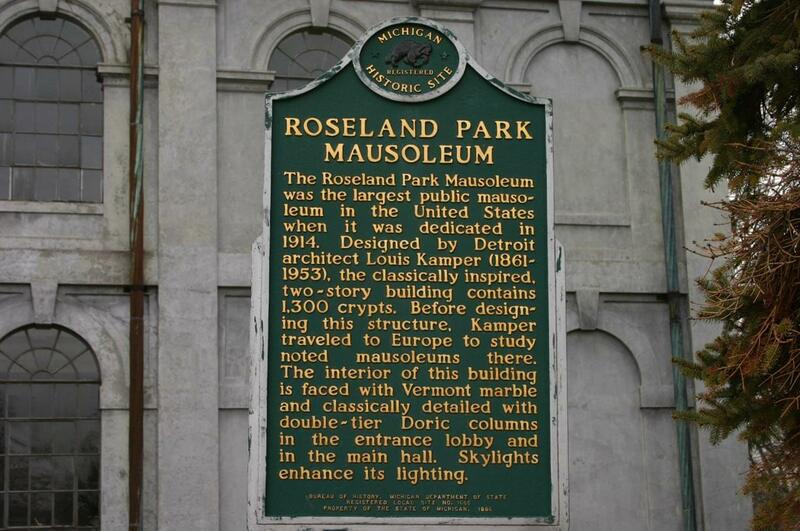 Many mausoleums in North America were modeled after the famed Rose Chapel. 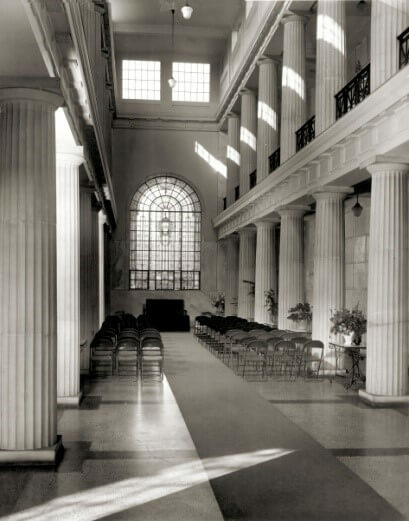 Certified as a Michigan Historical Site, the Chapel is currently undergoing renovations to restore its timeless beauty. This century-old mausoleum has stood the test of time. Louis Kamper, the designer, is interred in the Rose Chapel. From its modest one-acre beginning, the cemetery gradually expanded to its current 135 acres. During the Depression, though, the cemetery sold a portion of its land to a developer who created the St. Johns Woods subdivision. Note: Contrary to legend, Arthur Godfrey is NOT interred in Roseland Park. Although he was a salesman for the cemetery before becoming a famous entertainer, he is actually buried in Florida.